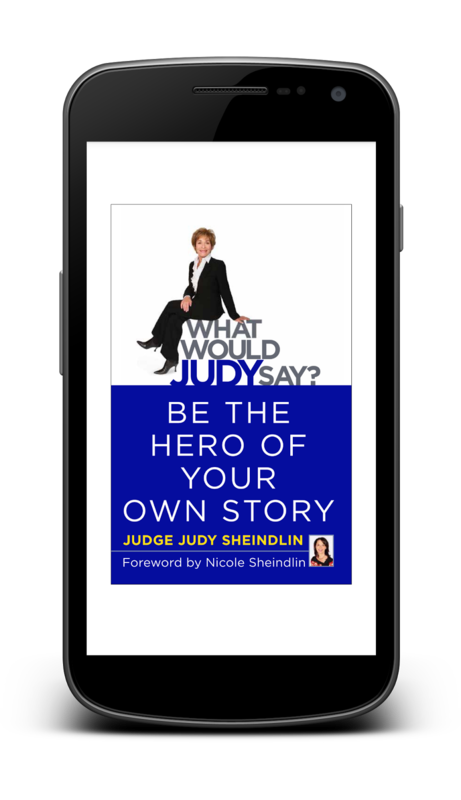 Pick up Judge Judy's new eBook for FREE! 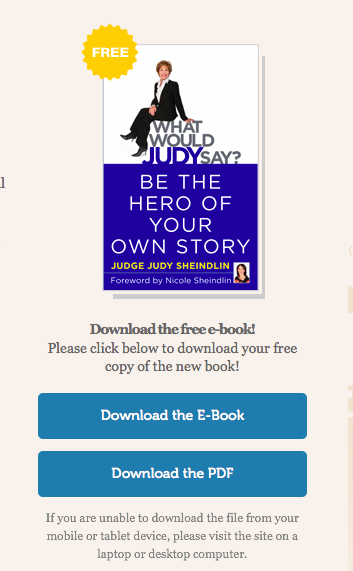 I had just turned off my work computer and turned on the TV when I saw on the show "Inside Edition" that Judge Judy has just released an inspirational eBook - and she is giving it away for FREE. Says Judge Judy - "My gift to you is my new book. I hope it will help you negotiate life with greater ease while creating a journey that is exciting and satisfying"
NOTE: The download will place a folder containing different versions of the eBook on your computer. To read the book on your Kindle or any device with the Kindle app (I like using my smartphone to read my Kindle ebooks), find your Kindle device's email address in your Kindle settings, and email the mobi version of the eBook to the Kindle's email address.